The moments we spend in the outdoors as children help shape our views on the world around us. A number of studies have shown the numerous benefits to getting kids outside and into nature, including improved mental, emotional, and physical health and well-being; but, perhaps the most important aspect of encouraging time in the outdoors is that a young child’s direct experiences with nature are critical to fostering a healthy conservation ethic and are the most influence on the development of life-long conservation values. Toyota and the Department of Conservation have recognized the need for Kiwi Kids to get outside and enjoy direct experiences with nature and have teamed up to create The Toyota Kiwi Guardian Program, a plethora of free family-friendly, treasure hunt-like activities to encourage Kiwi kids and their families to adventure together in the hopes of creating the next generation of conservationists and future guardians of this unique and beautiful country we call home, New Zealand. The fear of the unknown and the fear of failure are the biggest barrier for parents getting out and adventuring with kids. What should we do? Where should we go? What should we bring? What will we do when we get there? Will the kids have fun? Will I have fun? These are the questions that can stop parents from adventuring with their children...and that's where the Toyota Kiwi Guardian Programme comes in. With a number of sites all across New Zealand, it tells families where to go, what to look for, activities to do once there, and is guaranteed fun for the kids who have the added incentive of earning a medal upon finding the Kiwi Guardian signpost with the secret code word. You print a map, explore places you've never been before or perhaps have been but never explored before, and create a lifetime of memories. We love exploring all of what New Zealand has to offer in our backyard and are always looking to try visit new places or explore familiar places and learn something new. We decided to go onto the Kiwi Guardian website and find a new adventure for the day. My boys had been wanting to snorkel so we chose Cape Rodney-Okakari Point Marine Reserve (also known as Goat Island Marine Reserve) and invited some friends to join us. We printed out maps at home and I passed them out to the boys upon our arrival. 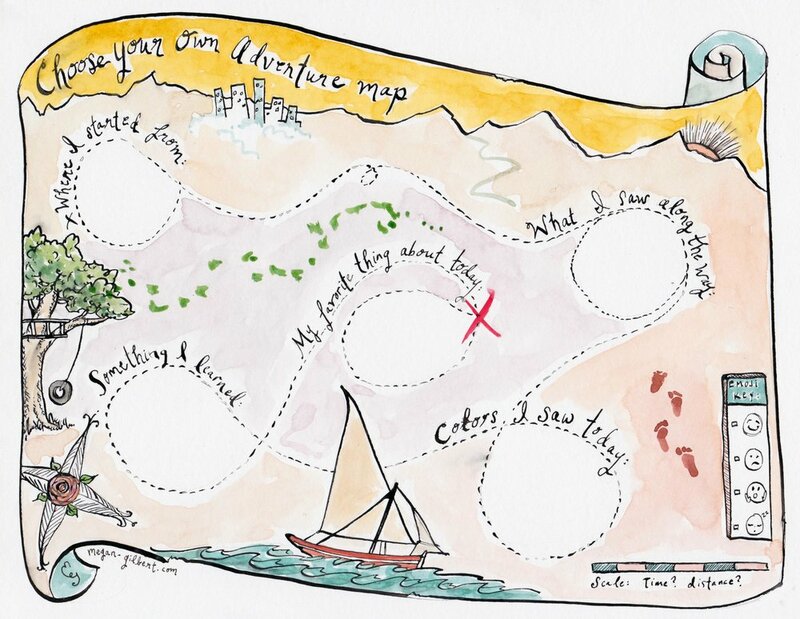 Seeing the different points of interest on the map, some of which, like the kelp forest and the reef were hidden from plain eyesight, immediately turned our adventure into a treasure hunt with everyone running off in different directions to discover all the areas shown on the map. The older boys swam out to swim amongst the seaweed and then swam over to the island to check out the colourful caves. The younger boys used boogie boards to snorkel over the reef where they spotted lots of Snapper and two large stingrays and then went tidepooling along the rocky coast where they found lots of hermit crabs. When we arrived there was not a cloud in the sky, but after an hour or two of exploring, dark clouds appeared and rain began to pelt down in a heavy downpour. As thunder clapped across the sky, we sought shelter in the nooks and caves nestled into the rocky coastline and watched the rain fall onto the sea. When it slowed to a drizzle, the boys were right back in the sea and snorkeling again, noticing that life underwater didn’t change a bit with the differences in weather. There was something for all ages. Everyone found and saw new things, learning about different sea creatures and overcame fears (like swimming with giant stingrays and a scary looking horned fish) along the way. As we prepared to leave for home, we discussed the importance of marine reserves, the boys realizing how lucky they were to see just a varied and abundant marine life in just one place and just how special and unique places like this are in the world. The kids can’t wait to tick off the next Toyota Kiwi Guardian site and earn more medals! It was the adventure of a lifetime and memories were made that will be remembered forever. This was our adventure with Kiwi Guardian Programme...what will yours be? Summer is almost here and you know what that means....it's time to stock up on all your favorite summer pieces! And guess what...Sale Alert! Today I have an amazing sale round up of my favorite goodies at Shopbop. You can now save up to 25% when you use the code EOTS17 at checkout.